Throughout history water has confronted humanity with some of its greatest challenges. Water is a source of life and a natural resource that sustains our environments and supports livelihoods - but it is also a source of risk and vulnerability. 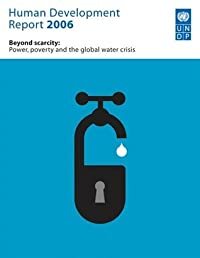 In the early 21st Century, prospects for human development are threatened by a deepening global water crisis. Debunking the myth that the crisis is the result of scarcity, this report argues poverty, power and inequality are at the heart of the problem. *Investigates the underlying causes and consequences of a crisis that leaves 1.2 billion people without access to safe water and 2.6 billion without access to sanitation *Examines the social and economic forces that are driving water shortages and marginalizing the poor in agriculture and examines the scope for international cooperation to resolve cross-border tensions in water management *Includes special contributions from Gordon Brown and Ngozi Okonjo-Iweala, President Lula, President Carter, and the UN Secretary General, Kofi Annan.